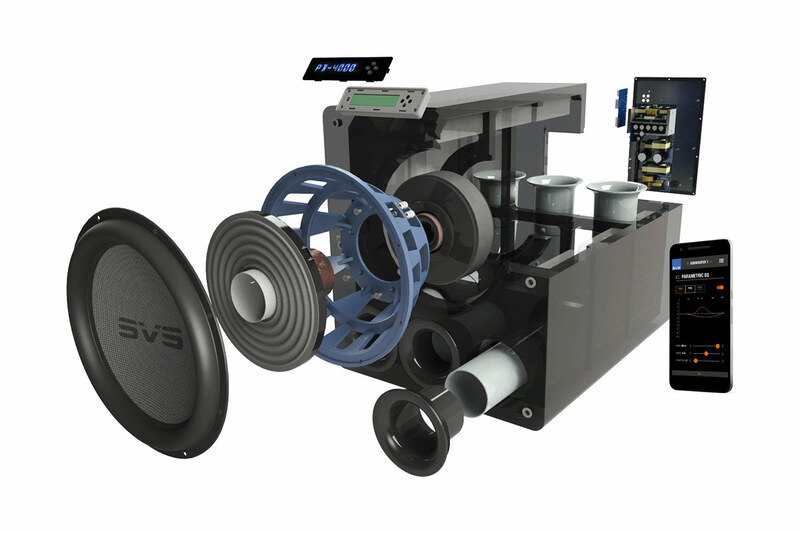 17SVS has been in deployed subwoofer in home theaters and hi-fi rooms around the world for a setting a good foundation for bass. Now the manufacturers are launching two new models, the SB-4000 and the PB-4000, and the top 13 Ultra series. Before we take a closer look at the technological innovations, let’s briefly turn to the basic concept of the series. Although it is true that it is essentially an update of the 13 Ultra Series, however, the two 4000 models benefit greatly from the flagship series 16, as we will see later in two key points – amplifier unit and DSP integration Ultra. Ultimately, the tried and tested qualities of the predecessors were combined with technical refinements that were previously reserved for much more expensive models. As usual with SVS, the manufacturer also offers a version with a closed housing (SB stands for “sealed box”) as well as a model with bass reflex channels (PB stands for “ported box”) in the 4000 series as well. This is accompanied by not negligible differences in weight and size – the SB-4000 measures 46.5 (H) x 45.3 (W) x 53.0 (D) cm and brings about 46 kg on the scale, the PB -4000 puts 73,8 (H) x 66,1 (W) x 91,5 (D) cm and almost 70 kg on it again a good shovel on it. Also typical for subwoofers from SVS is the choice between the black piano finish and the equally black ash finish. Also worth mentioning are the connection options: there is a stereo input and a stereo output in both RCA and XLR format. The membrane of the new, about 20 kg long-stroke driver, which is used identically in both 4000s subs, measures like its predecessor model 13.5 inches and is made of a lightweight but torsion-resistant composite material. A bead specially designed for high loads ensures longevity, even with high diaphragm deflection. For these, in turn, the extremely powerful drive with double ferrite magnet and the eight-layer flat wire coil is responsible. For SB-4000 and PB-4000 to actually move air, of course, a corresponding amplifier unit is required. 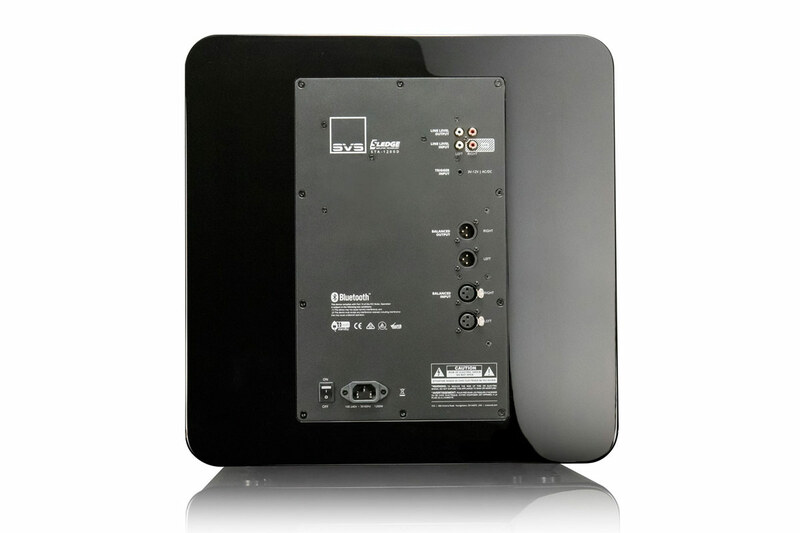 As pointed out above, the Class D MOSFET power amplifier is largely based on the 16 Ultra series and has been modified under the premise of reducing the aural losses to an absolute minimum despite the lower price level. With 1200 watts of continuous and more than 4000 watts of peak power, there should be nothing left to be desired, especially as the predecessor series was hardly susceptible to powerlessness. Take over the Analog Devices DSP engine from the 16 Ultra series. This 3-band equalizer is a separate room corrector, port tuning, and three preset memory slots. 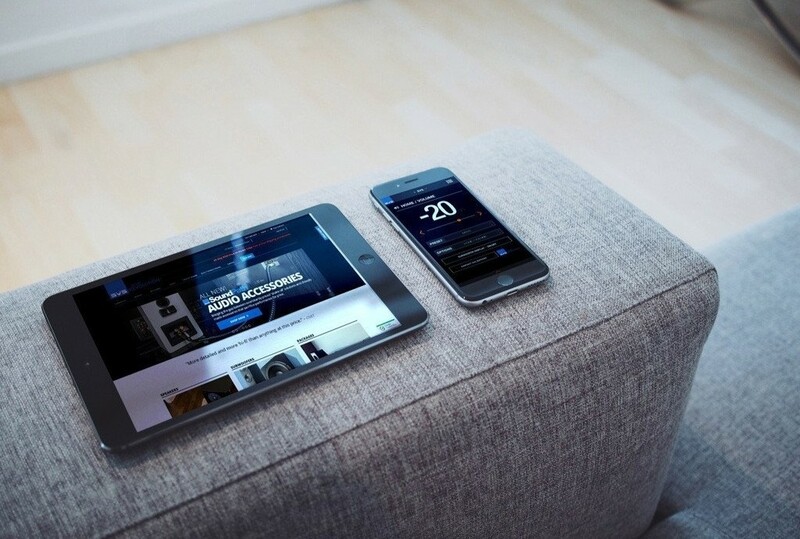 This control panels on the front, the included remote control or the intelligent software (iOS and Android) and works bidirectional, d. H. Changes to the app are visually reconstructed. Even if you do not concentrate on the back, then the 1-button control of the previous models in memory of the SVS is a huge step forward. With the new 4000 series, SVS once again delivers outstanding quality. The SB-4000 and PB-4000 subwoofers offer many useful improvements compared to their predecessors, especially the revised operation is a blessing. Considering that the prices are essentially the 13 Ultra Series, you have to certify the 4000 models also an excellent price-performance ratio. Definitely, test it for yourself! You will also find general information about subwoofers in our video presentation with Raphael Vogt.